Webinars PowerPoint presentations of varying lengths on a variety of introductory to intermediate topics. Webinars include visual, audio, and a copy of the PowerPoint notes. Recorded. Live participants have access to recording after the presentation. 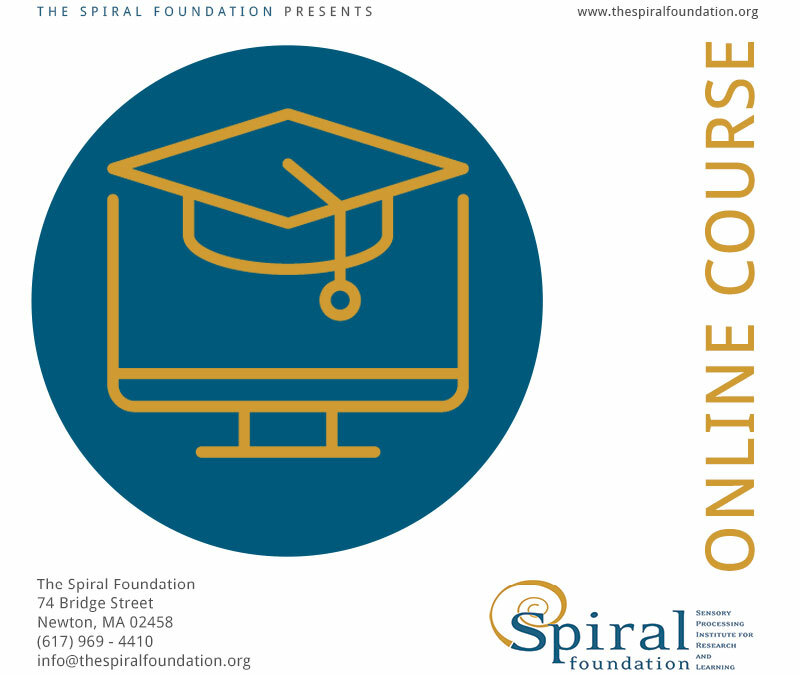 All webinars are available for purchase the Spiral Foundation Store. LiveTalks One hour podcasts on a variety topics. Information is generally introductory and appropriate for a variety of professional audiences. LiveTalks are audio only and typically do not include additional notes. Recorded. Live participants have access to recording after the presentation. All LiveTalks are available for purchase in the Spiral Foundation Store. Online Courses Recorded six to eight hour courses on a variety of intermediate to advanced topics presented as PowerPoints. Available as streaming videos for the duration of a month long viewing window; includes visual, audio, and handouts but generally do not include a copy of the PowerPoint notes. Not available for purchase in the Spiral Foundation Store outside the viewing window. Intensives Unique five-day advanced mentorship programs that focus on hands-on experience to assist therapists in developing clinical reasoning skills and to better implement assessments and interventions. Includes participant guided lecture and discussion sessions and feedback from experienced clinicians. Not recorded. Live Courses One or two-day courses on a variety of introductory to advanced topics. Not recorded. Check out our annual calendar for upcoming courses and events! Watch your email or our home page for information on when registration opens for our various events.